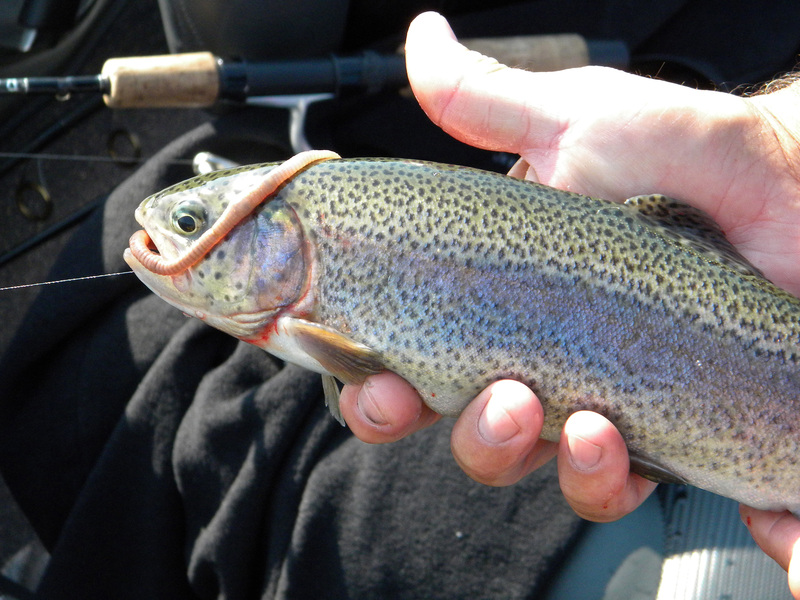 Illinois spring catchable trout program opens in April. It opens in other areas at different dates but the scene is still the same. During the season Illinois anglers have a chance to catch this great tasting cold water species. Under a program funded by the Inland Trout Stamp required of participants in the program, The IDNR stocks hatchery raised trout in the 10 or 11-inch class. Rainbow trout prefer water that remains below 72-degrees. Most of our Illinois waters do not stay that cool all year. Trout like to stay within 4 feet of the surface when stocked. Later they move to the bottom except to feed. This cold-water denizen survives in spring-fed lakes and ponds. Baring these conditions, they are stocked in colder waters surviving until late spring. This hardy fish and aggressive eater eats commercial fish pellets at the hatchery prior to transfer to other waters. On opening day, the rush to catch some trout results in many locations having crowds of anglers elbow to elbow along the shore. After the first day fishing tends to return more to normal levels of anglers. Once in the water at a site location, trout take a variety of bait, artificial or natural. In the first few days of survival in stocked ponds, trout attack in-line spinners, casting spoons, chunks of cheese and marshmallows. Even Velveeta cheese spread placed on a very small hook catches fish. Other grocery store baits include corn and shrimp. Place the baits on a hook suspended beneath a bobber about 18 inches. After the first day it is advisable to switch to live bait. It is then that worm dunking comes into play. Rainbow trout have about 2,500 taste buds. That compares with about 9,000 in us. Trout are one of the least selective feeders. But, they soon turn to only baits that contain tastes commonly found in living tissue. The top of that list contains members of the worm family. The more acclimated fish prefer live baits such as mealworms, red worms, maggots, minnows and nightcrawlers. A one-inch piece of nightcrawler threaded on a number 10 hook makes a good presentation. This bait is suspended beneath a slip bobber about 18-inches deep to start. The slip bobber is adjustable to place the nightcrawler piece at a specific depth. Ultimately the right depth is where one finds the fish are cruising in search of forage. Fresh from the hatchery, trout feed in the top 1 to 2 feet of water. They are accustomed to eating pellets thrown to them. Due to the competition from other fish in the raceways, the pellets do not get a chance to sink much deeper. As the trout become use to their new home after stocking they become hold on the bottom in groups except to rise up while feeding. They also take live bait suspended just off the bottom. Fishing on the lower depths requires a live bait rig. It consists of a hook with live bait at the end of the line. About two feet up the line attach a small split shot. Above that is an egg sinker that slides up and down the line. The split shot keeps it from going all the way to the hook. The egg sinker sits on the bottom. The two feet between it and the hook allows the live bait to float just off the bottom or in the case of minnows to swim around. Most of the ponds with these 10 to 11-inch fish have relatively featureless bottoms. If there is any structure or vegetation available they soon find it and make it their home. Otherwise it is a good idea to fish facing into the wind. The wind forces indigenous forage toward you. Watching a big tom turkey approach from some two hundred yards across a field to within a few feet is a thrill in and of itself. Watch Ralph Duren use a call and a turkey wing to get the job done is an honor. When he finally said, “I think you need to shoot this one” I was still marveling at the job he had done. Ralph is one of the premiere game callers in the country. He has appeared on television and in person from one end of the country to the other. Turkeys are not all he calls. He is an accomplished bird imitator as well as someone who can call all sorts of animals. Having seen his program at a writer’s conference one year, it is an honor to be able to sit in a turkey blind and watch him do his thing. So much so that I forgot some of the basics of shooting. 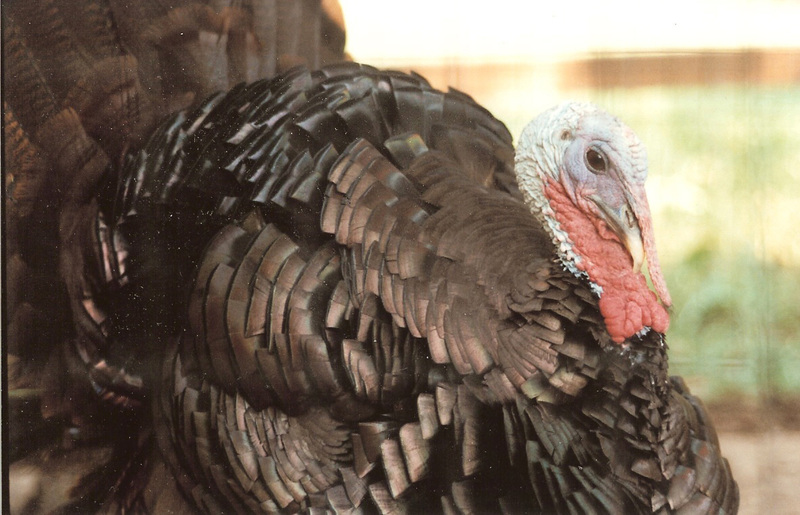 Calling turkeys is the subject of a lot of articles this time of the year. We tend to forget that all the calling the world is of no use if we can not hit the bird. Turkey hunters in particular are prone to forget the patterning of their weapon prior to going into the field. It is vital that we know the exact point of impact of the shot. If the bulk of the hot is not going where the gun is pointed, then shooters need to adjust accordingly. It is an easy point that I neglected that day in the Missouri river bottom with Ralph. Once one has decided upon a particular gun and shot load to use on a hunt, it is time to pattern the gun. Patterning is very simple and inexpensive way to make sure it shoots where the hunter is aiming. All you need is a gun, shells, a sheet of plywood, some targets with a turkey head on them and ear and eye protection. A bench rest is helpful in being consistent from one shot to another. Targets, available at sporting goods stores, usually consist of a large white sheet of paper with a turkey head in the middle. Most are about three foot square. Some target makers have lines of head targets that are stuck to any large sheet of paper. They are brighter in color and stand out more. They are realistic in size to the real thing. In the interest of time, one can put up several targets and use different size shot on each. The mix of pellets from different size shot is different with each gun. If the shooter is shooting at the center of the target and the bulk of the shot is consistently hitting off to the side, perhaps the stock needs adjustment by a gunsmith. If the bulk of the shot is just a little off from center, then the hunter can adjust his point of aim to compensate. If he is shooting a shotgun with a scope, then you adjust the sight to compensate. The idea is to deliver at least six pellets to the head and neck area of the bird. In patterning a shotgun it is wise to use different chokes. Most modern shotguns have the screw-in choke systems that allow the hunter a variety of shot patterns. Most turkey hunters prefer the full choke, but if another one will work more effectively, this is the time to find out. Once you establish the pattern of the gun at a specific range, it is time to test it at other increments of distance. If the hunter knows where the shot is going at 30 yards, then it would help to know where it will be at 10 or 20 yards as well. 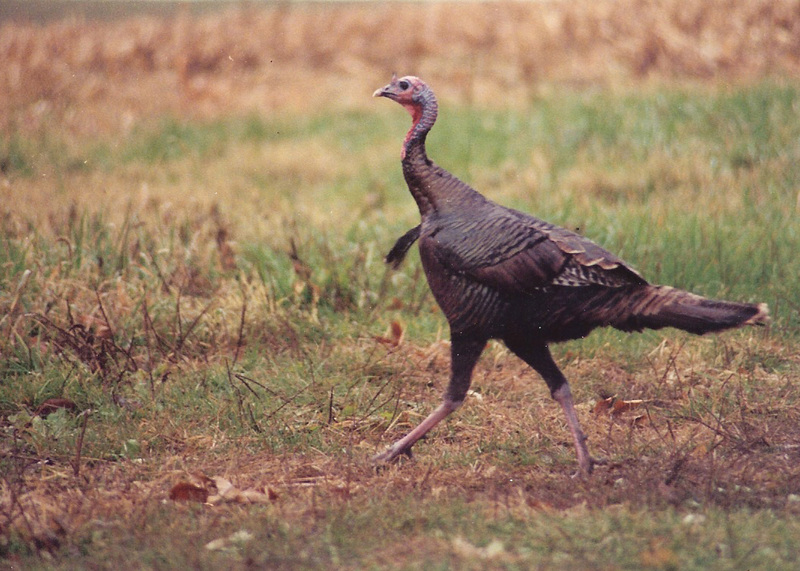 Turkey hunters in the Midwest seldom get a shot at birds that are in excess of 30 yards. Additionally, most loads begin to loose their effectiveness beyond such a range. Patterning a turkey gun goes a long way toward building a familiarity with the weapon. That in turn aids one in putting a bird on the table. It is something forgotten on the eventful day with Ralph. He did his homework and I did not. I saw a bird up close and personal and watched it run away after I shot clean over its head. Sahara Woods Fish and Wildlife Area has risen from a plated out strip coal mine operation to an interesting outdoor recreational complex despite an unprecedented uphill battle. First there was the site itself. When first deeded to the state it was in the middle of a law mandated reclamation process. Then there was the legislative atmosphere that saw the budget for the Illinois Department of Natural Resources budget reduced by over 50%. It tightened expenditures for such new projects. Improvements made through a phased development plan now allow use by the public. Somehow the property has made what looked like a scrap yard for old mining equipment into a habitat for wildlife with the flooded pits now holding game fish. The plan included grading, covering and planting vegetation on eroded mine refuse piles, reclaiming mine roads, removing dilapidated mine building, tree planting to control erosion and enhance wildlife habitat as well as treatment of ponds damaged by mine refuse runoff. Today, the Sahara State Fish & Wildlife Area is 4,000-acres on the south side of Illinois Route 13, about 5 miles west of Harrisburg. The fishable waters are composed of the 98-acre Sahara Lake and numerous strip cuts. There is a 35-hp motor limit on the lake and electric motor only limit on the cuts. Two boat ramps are available. On is on the lake and the other on one of the cuts just to the east. Shore fishing is available on all the cuts and the lake. Anglers wishing to fish from canoes, kayaks and small jon boats have to carry them into the cuts. The main lake is about 98-acres and does have a handicap accessible boat ramp, parking lot and restroom. Parking is limited in the rest of the park and there are no other facilities. Fish surveys done by IDNR Fisheries Manager Kurt Daine (618-949-3432) show this area now has a quality bass fishery with most fish in the 8 to 22-inch class. Most of them are in the 15 to 18 inch size. There is a one fish limit that must be over 18-inches in length. Daine rates the fishing for this year as good to excellent. The majority of bluegills in the area are between 6 1/2 to 7 1/2 inches in length. 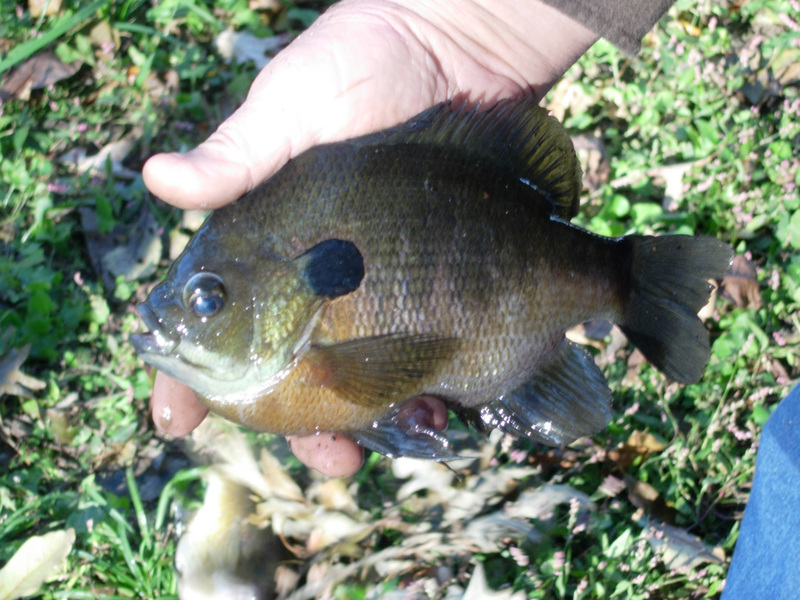 There is a daily creel limit of 15 fish per day for both bluegills and redear sunfish. The rating for fishing is good to excellent. Anglers report good crappie fishing. Both black and white crappie are present with a total daily creel limit of 15 per day. Kurt reports good fishing for channel catfish between 16 and 18 inches in length. The daily limit is six fish. The past week was spent attending the annual conference of the Professional Outdoor Media Association (POMA) in Knoxville, TN and touring some of the area waters trying to catch a few fish. This conference is a national gathering of most of the hook and bullet writers as well as major manufacturers of outdoor equipment and outdoor destinations. It is an chance for all of us to gain hands-on information and experience. In addition it is a networking experience. 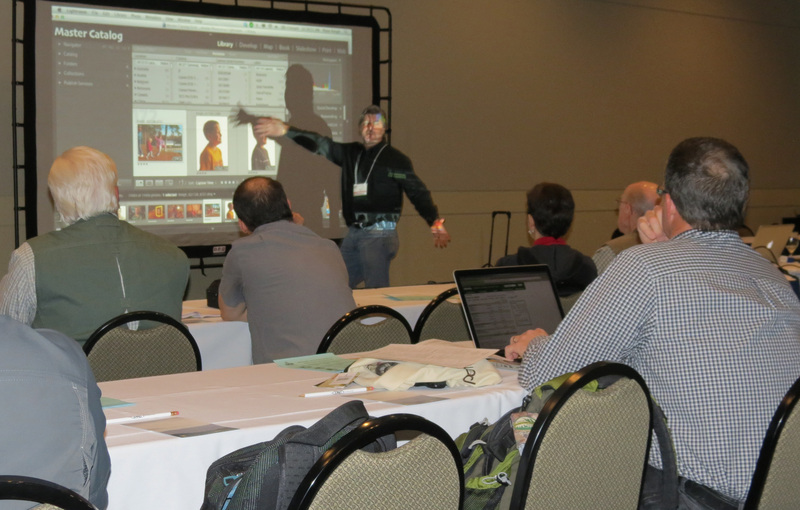 The latest digital information and photographic presentations are presented. If you are interested in the life of an outdoor writer check it out. Posted 03/26/2014 by Donald Gasaway in Misc. Biologists tell us that bluegills prefer water that is deep and clean with a pH of 7.2. Most of the lakes, ponds and unused strip pits of southern Illinois fit that description. The need for such an environment has resulted in bluegills becoming to the war on terrorism what the canary was to early coal miners. The miners would take the birds down in the ground. If there were a gas leak, the birds would be the first to succumb and their death would alert the miners to the danger. 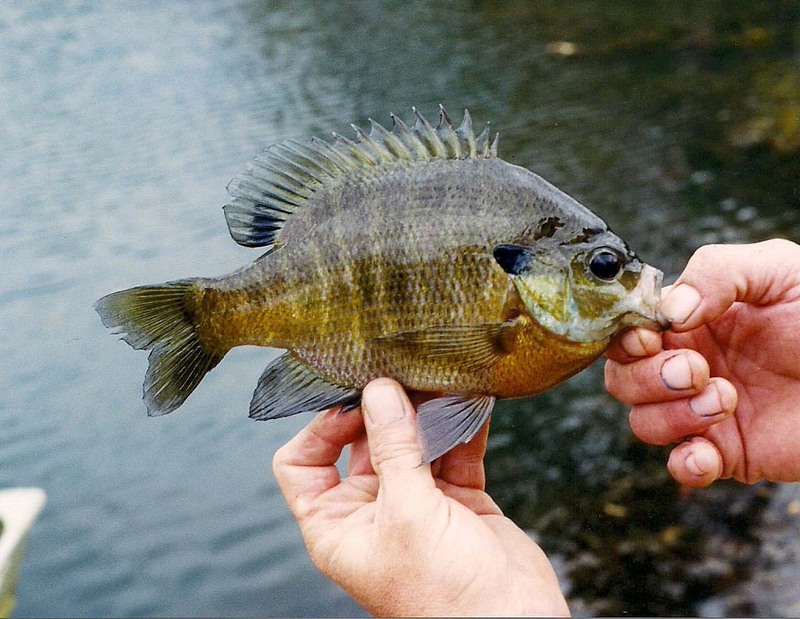 When it comes to eating habits, bluegills are about as selective as a junkyard dog in what they will or will not bite. They eat: worms, crickets, aquatic nymphs, larvae, shrimp, crayfish tails and small fish. Their eating habits make them such a sucker for artificial baits like spinners and plastic grubs. But, when it comes to their environment there is another story. Bluegills are known for thriving in clean water as well as a fighter on the end of a fishing line. Now they have a new job in the front lines of the war on terrorism. Several major cities across the country have employed this member of the sunfish family in protecting water reservoirs. The fish are kept in tanks with constantly replenished water from the city supplies. Their sensors register change in their breathing, heartbeat and swimming patterns. These changes are known to take effect when the fish is exposed to such pollutants as: cyanide, diesel fuel, mercury and pesticides. As long as the fish are stress free the water supply is OK. When minute toxins enter the water the fish become stressed and alert humans monitoring the water supply. A member of the sunfish family, bluegills are sometimes referred to in southern Illinois as bream or brim. They are a flat, muscular fish with a dark olive green back and dark-blue vertical stripes on the sides. The breast of a male fish is bright red-orange while the females display a dull yellow color. The chin and lower portion of the gill cover is blue, giving rise to the name bluegill. The long growing season and abundance of desirable clear water in southern Illinois has produced the healthy populations of these fish. Their aggressive feeding behavior is an indication that the bluegill does not flourish due to it intellect. They will attack an artificial lure twice their size and are often caught by bass anglers using spinner baits. Bluegills are often seen as forage fish for larger predators such as catfish, bass and Muskie. It is only their ability to reproduce faster than other fish can eat them that maintains this fishery. Bluegills will begin reproducing at age l and a female lays about 18,000 eggs per year. The spawn begins about the time of the first full moon in May and can continue through the summer with the eggs being hatched in four to seven days after they are laid. The most active spawning takes place during the period of three to four days either side of the full moon. During the period after the spawn, bluegills seek comfort in the shallow water early in the morning and late in the evening. During the day they will seek deeper water structure or suspend in open water. Usually, they will be schooled up. If an angler catches one he will catch many in the same spot or very close to it. Bluegills do best in lakes with simple populations of fish without common carp or gizzard shad. For this reason they tend to be stocked into lakes with only bass. Biologists find that they can better control the populations of both species with just the two with which to work. Ultra light tackle is best for bluegill fishing. The light rod and reel spooled with two to 4 pound line will produce a challenging fishing experience for beginner and expert alike. Fine wire hooks in number six or eight sizes are ample to catch these scrappy characters. The wire hooks can be pulled free when snagged in some underwater vegetation. They straighten out and can be just bent back into shape with the fingers. Bluegill fishing is popular with children because they are so easily hooked and tug aggressively on the line. They are popular with adults because they provide an excellent meal at the end of a day’s outing. Beginning with its headwaters in Champaign County, the Kaskaskia River flows some 280 miles to the southwest to join the Mississippi River. The upper reaches of the river above Lake Shelbyville do not produce large catfish. According to Trent Thomas, Region III Streams Biologist for the IDNR a survey in 2007 produced channel catfish up to 2.5 pounds and only a single flathead. 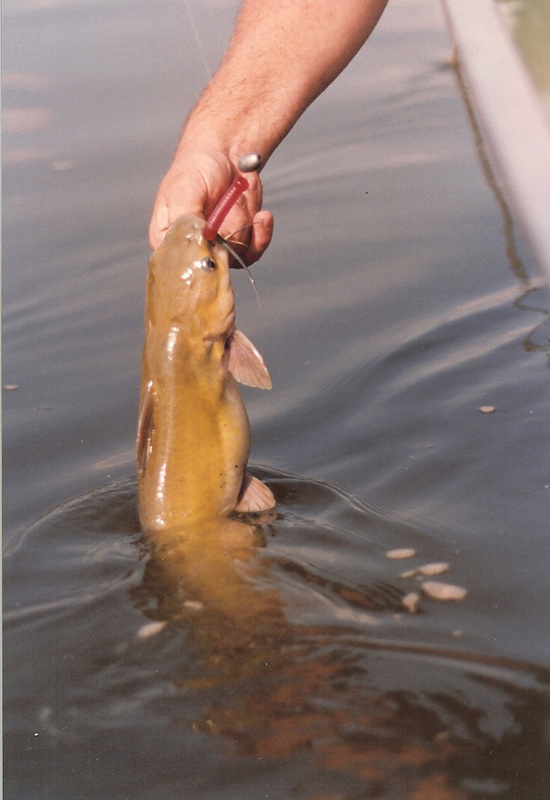 Today channel catfish in the 2 to 5 pound class are common throughout the river. Some fish in the 10 to 15 pound class are available to anglers. The area between Lake Shelbyville and Carlyle Lake produce channel catfish in larger numbers and are somewhat larger. The larger channel catfish come from the tailwaters at Carlyle Lake and the deeper pool with cover along the length of the river. Flatheads up to 60 pounds are in the oxbows. Near Cowden fish near 40 pounds are reported. The area below Carlyle Lake begins at the dam tailwaters, a popular angling hot spot. This is the province of IDNR Stream Biologist Randy Sauer. The 95 miles of river has a lot of 1-5 pound channel cats and some 25 pound flatheads. The best flathead area seems to be in the rocky section near the Gen Dean suspension bridge. Occasionally a large blue cat caught. Blues are a big river fish. They are most often in the river proper in sizes up to 25 pounds. The deep navigation channel affords year round habitat but some spawners are found near shoreline rocks and brush in late spring and early summer. Two good locations seem to be near Venedy Station and just above New Athens. The deeper pools near root wads and brush hold cats during daytime. They move to the rocky fast water stretches to feed at night. Most are in the 5 to 25 pound size range but some of the older and much larger are caught each year. The meandering channel between Carlyle Lake and Fayetteville does not receive a lot of pressure. But there are usually some bank sets and hoop nets, especially near the many clubhouses along the shore. This area is typical of many Illinois rivers in summer. Boating can be a tricky experience. The lower summer flows and the amount of structure in the water can be hazardous. In-stream habitat of bank holes, brush piles and wads of roots provide great fishing for both channels and flatheads. Sauer recommends anglers in summer probe the holes on the outside of bends. They are usually 10 to 15 feet deep and the best fishing is on the upstream side of the hole. According to Sauer, the 36-mile navigation channel below Fayetteville is the best fishery in the river. “The steam flow is virtually non-existent,” says Randy. He explains that not having to contend with current, the catfish devote more energy to body growth. They feed on the abundance of shad and young sunfish. While the central channel holds water in the nine foot depth range, there are a number of oxbows connected to the main river at their downstream ends. The channel catfish like to feed along the shore of the main channel and the flatheads prefer the oxbows deeper holes. The largest blue cats tend to hang in those oxbow holes as well.